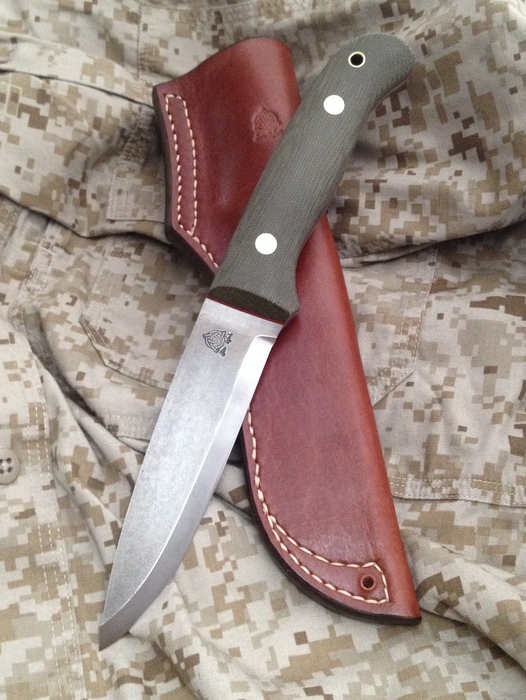 We make this 4.5″ Woodlander from of 3mm or 4mm steel stock with a leather sheath. This knife is great for people with slightly larger hands as the handle is bigger and the blade more in scale, giving you more reach. This is a great skinning knife in 3mm stock and a good friend of ous uses it a lot for deer skinning and butchering in California. It comes with various handle materials and a leather sheath in varying styles.